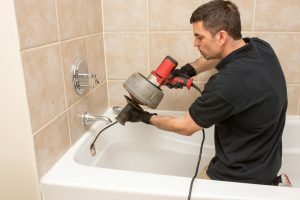 Video Pipe Inspection | Brooks Plumbing Co.
How Can I Tell that I Need Video Pipe Inspection for My Plumbing? Honestly, this question is best left up to the professional that responds to your home. He or she will be able to judge the situation and whether or not it needs any given solution. That being said, it’s never a bad thing to know more about your plumbing system, and the problems associated with it. Let’s take a look at what video pipe inspection is, and when it is most appropriate. Video pipe inspection is a type of visual inspected conducted by remote. It utilizes a small camera, equipped with lights and motors that allow it to see and rotate. Additional equipment may be attached, depending on the needs of the technician. These cameras are attached to a long cable, which often connects to a power source in the service truck. During the pipe inspection, the camera is lowered down the pipe. Rollers are often used to improve the camera’s mobility. Once the camera is in place, the camera operator uses a computer to view the feed and remotely control the camera’s movement. Why Use Video Pipe Inspection? Video pipe inspection is commonly used to gain more information about blockages in your home’s pipes. Without knowing what exactly is causing the blockage, the technician is operating at a disadvantage when trying to remove it. It could be a tangle of hair, or food waste, or lime scale. It could even be a tree root that’s grown into the pipe. If the technician tries to remove a tree root, believing it to be hair, he or she can damage equipment and waste time. For this reason, video pipe inspections are used to verify what exactly the problem is before a solution is decided. Video pipe inspections are not limited to blockages. 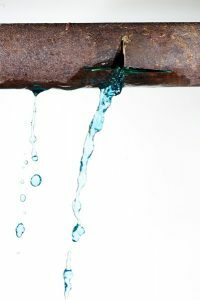 In areas where the pipe is inaccessible any other way, video pipe inspections can find leaks and other damage that would otherwise be difficult to address. If you need help with your plumbing, call Brooks Plumbing to schedule professional plumbing services in the Olympia area. Posted in Plumbing | Comments Off on How Can I Tell that I Need Video Pipe Inspection for My Plumbing?